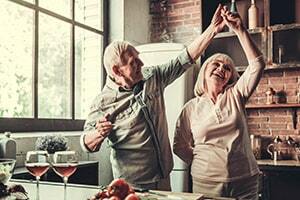 A Reverse Mortgage is a loan that enables older homeowners to convert a portion of their home equity into cash. It may also provide a way for those with limited income to better manage their retirement finances by allowing them to use accumulated equity to cover living expenses. As long as you live in the home, you’re not required to make monthly mortgage payments. * Instead, the lender makes monthly payments to you. That’s why it’s known as a reverse loan because with a traditional mortgage it’s the other way around, the borrower pays the lender. In this case, the borrower is not required to pay back the reverse loan until the home is sold, vacated, or the owner passes away; and the homeowner still retains ownership of the home. However, you must remain current on property taxes, hazard insurance, homeowner’s association dues, any other applicable fees, and you must be able to maintain the property. Payment of loan proceeds – The borrower receives the loan money as a line of credit, monthly installments, a combination of both, as a lump sum, or the payment retires an existing mortgage. Interest Rate – The borrower chooses between a fixed interest rate and an adjustable interest rate. A fixed interest rate is only available with the lump sum payment option. Purchase – It allows the borrower to purchase a principal residence. It requires less upfront investment than an all-cash purchase. Refinance – It allows a borrower to convert one HECM loan into another HECM loan, which is usually done to lock in a lower interest rate or to borrow more cash if the home has increased in value. *Borrower must pay required taxes, insurance, or HOA if applicable.